Stephanie Ledford is the founder and co-owner of the husband and wife duo of Buffalo Bur's Custom Cycles. A former collegiate athlete and mother of two, Stephanie found a new passion for the competitive and family friendly sport of cycling. With a degree in Business Administration and a decade of combined experience in retail management and business ownership, Stephanie wanted to share her passion for cycling with the West Texas community. Anyone can ride a bike. Buffalo Bur's hopes to be your choice shop for a bike to get you where you're going. Jeff Ledford not only a co-owner, he's the original wrench and creator of the custom line of bicycles built by Buffalo Bur's. Jeff has been riding and wrenching for over a decade, with a particular affinity for mountain biking. Another former collegiate athlete and father of two, Jeff found cycling to be an activity where the entire family can participate. With a degree in Business Administration and current ownership of a successful insurance agency, Jeff is excited to use his acquired skills to meet the needs of current and new cyclists in West Texas. 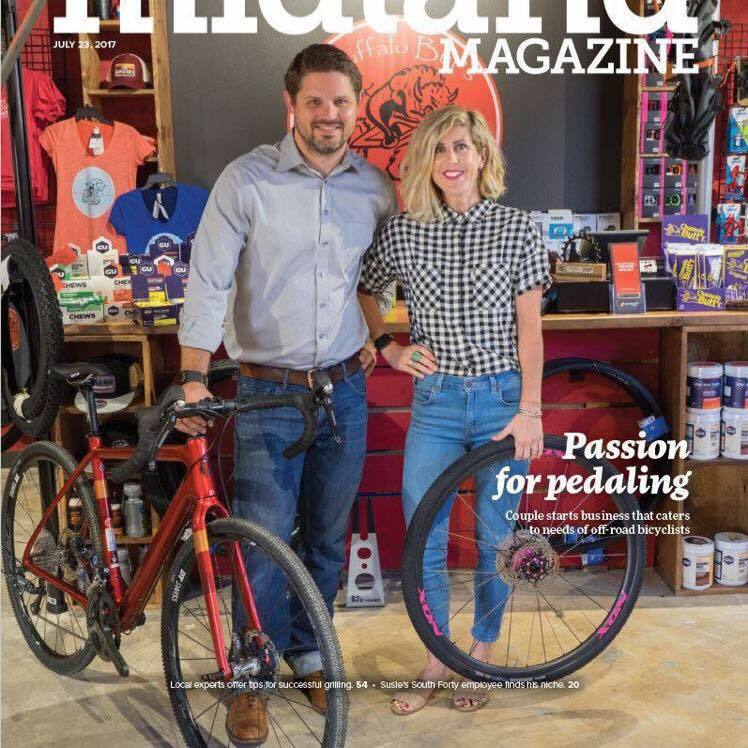 Check out our feature in the Summer issue of Midland Magazine!